The amount of the fee depends on the direction. UIA introduces a fee for the change of location in the cabin during online check-in for all its flights from March 26. The amount of the fee depends on the direction and location of the seats in the cabin. For example, for domestic flights it varies from 3 to 11 euros for medium-haul international – from 4 to 15 euros for long-haul – from 9 to 40 euros. If one reservation includes several passengers, the system will put them side by side. 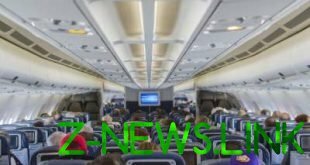 In addition, the airline is considering increasing the period of online check-in for economy class passengers from 48 to 78 hours prior to departure. Note that now the passengers of UIA during online check-in can free to change a system-provided location. The fee is charged only when you select seats in emergency rows or the first six rows of economy class.